The first person to fly the English Channel in an airplane was a Frenchman called Louis Bleriot. 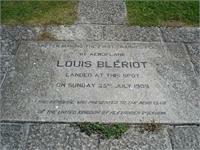 The flight took place on 25 July 1909 and won Bleriot a prize of £1,000 from the Daily Mail. 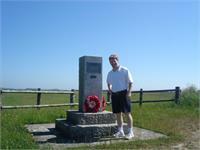 An earlier attempt five days earlier, by Englishman Herbert Latham, had ended when he had ditched in the sea. Bleriot, a motorcar headlamp manufacturer, had injured his foot and walked to his plane with the aid of crutches. He took off at 4.37am and, guided by smoke from a French destroyer, he spotted St Margaret’s Bay. 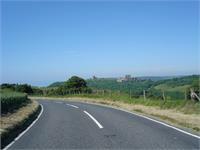 Turning towards Dover he was caught by the wind and made a crash landing in Northfall Meadow, behind the Castle, breaking the undercarriage and propeller. The whole journey had taken 20 minutes. From stone circles to Viking invasions and wars that changed the world, Britain's history is rich, diverse and at times, more than a little gory. 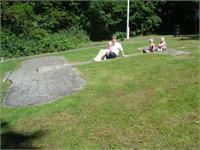 A Facebook page records the level of litter and rubbish in a Kent town. The Belgian aviation pioneer used an FN Model 1900 in one of the first aerial gunfights in the skies over Europe during World War I.